*The City of Chicago Market Snapshot represents the residential real estate activity within the 77 officially defined Chicago community areas as provided by the Chicago Association of REALTORS®. 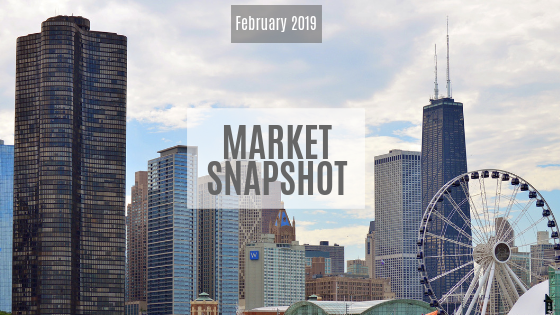 1,435 properties were sold in the City of Chicago in February 2019. This is a 6.5 percent decrease from February 2018. The median sales price in the City of Chicago for February 2019 was $273,000, up 0.4 percent from this time last year. The City of Chicago saw listings average 108 days on the market until contract, a 4.9 percent increase from 103 days in February 2018. Check out the February 2019 FastStats. 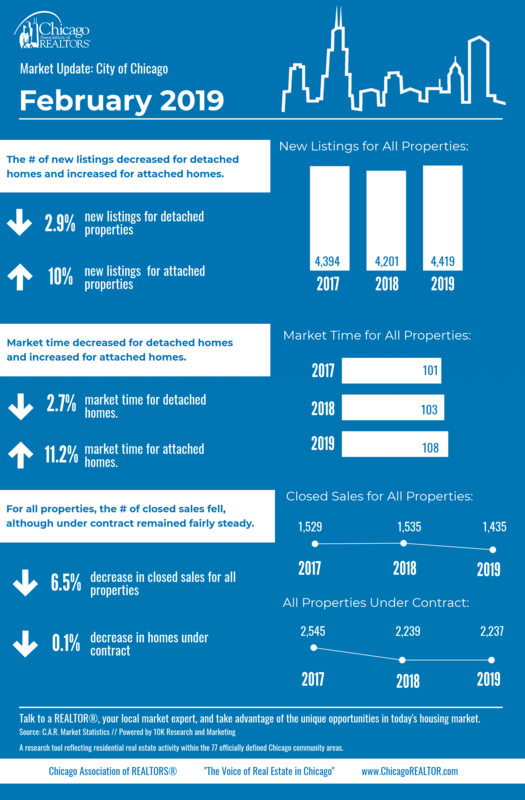 The National Association of REALTORS® recently reported that national existing home sales were down slightly during January 2019 and that pending sales were up in year-over-year comparisons. It is worth noting that some softening of sales was anticipated, as was a positive sales bounce during January 2019 after a slow end to 2018. Weather-related events have hampered some of the necessary machinations of making home sales during February 2019, yet buyers have shown determination toward achieving their homeownership goals. City of Chicago inventory is down 1.7 percent, from 7,950 homes in February 2018 to 7,815 homes in February 2019. The month’s supply of inventory remained the same, with an average of 3.4 in February 2019 and February 2018.